The 32nd annual Discovery Bay Women’s Club Invitational celebrated timeless traditions of golf with 108 players dressed in knickers and argyle representing over a dozen visiting country clubs. 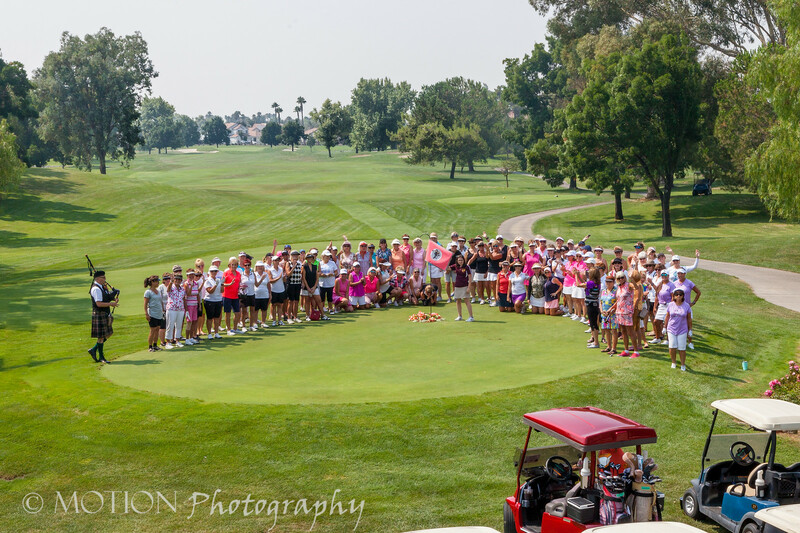 Opening ceremonies included sounds from champion bagpiper, Fred Payne to the raising of the tournament flag by Liberty High School Junior Girls Golf Club member, Isabel Moomey, and a group photo of the entire field of players on Hole #1. Honorary Guest Speaker, Earline Dal Porto, first captain and co-founder of the club in 1987, delivered a tearful tribute to the club as she spoke about its beginning stating ” back then, you had to live in Discovery Bay to be a member, so I bought a condo!”. She and her best friends Bobby Pearson and Jean Davis shared an equal love for the sport and played well into their “golden” years. Earline also owned and operated Brentwood Ford, now Bill Brandt Ford in Brentwood, and married the love of her life, Bob Dal Porto, a local rancher and Liberty High School Hall of Famer. As a tribute to the event, co-founder of the LPGA and author of the book “From Green to Tee”, Shirley Spork spoke at the awards banquet via live Face Time on the big screen. After wishing us well on our tournament and taking us on trip through time in women’s golf, she received a standing ovation and closed with the words “Full swings girls and hold your finish ’till the ball lands!”. Our guests enjoyed breakfast, lunch and dinner from our wonderful Discovery Bay Golf & Country Club and thanks to the Pros and the entire golf course staff, the course welcomed players to three days of competition and fun. 48 players won low net in their flights, with two teams winning overall low gross and low net, as well as 24 winners in various on site competitions. Thanks to the many local sponsors and 15 country clubs donating rounds of golf, the tournament was able to help support the Liberty Union High School Junior Girls Golf Club.